I have FINALLY chosen the machine I want. Since mine broke about a month ago, I’ve been on the hunt for a new machine that was of better quality than my original one, something my parents could buy me for my birthday. After many long nights of internet research and long hours perusing the sewing machine shops in Delaware, I’ve finally decided on SOMETHING. Originally, at the Singer store on Kirkwood Hwy, a sales rep decided to sell my mother on a machine that was about 3 times the price I wanted one for, and had a whole lot of fancy things going on that I wasn’t expecting. Inevitably, after I checked it out, I was sold as well. But really, I didn’t want to spend $600 on a machine… even if they do claim that it was originally $999. I really don’t sew THAT much. I ended up falling in love with the features of that machine, however it had as usb cord to attach to a computer but was only compatible with PCs. WTF people?! Where is all the Mac compatible stuff in the world?? Don’t you people know that Macs are the best? How can you NOT know?! So then I decided to research around for a cheaper one. I finally found the one I settled on, and it is an older version of the $600 one. It’s normally $400 (and actually just saw it on Joann’s site at $600), but I found it on overstock refurbished for $290. Done. It may not be of better quality than the old machine, but it’s got new features, like embroidery that I can play with. 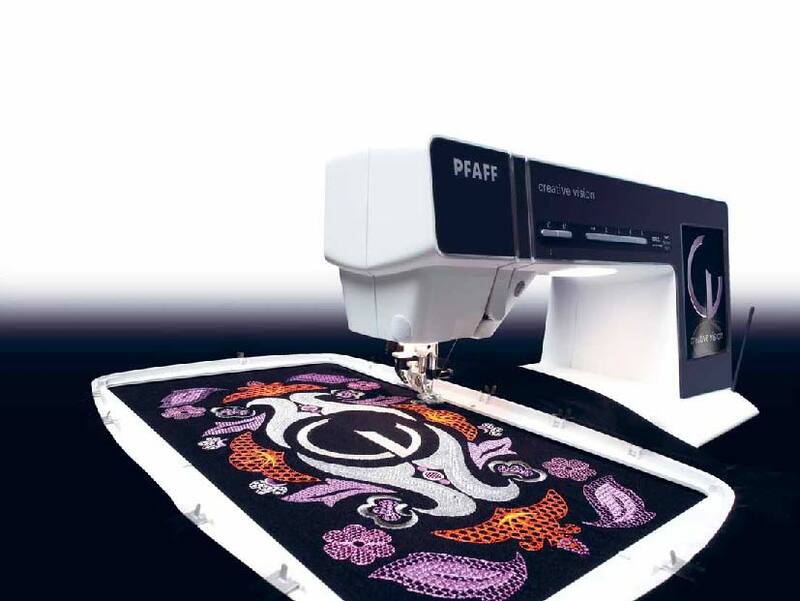 If I get good at embroidery and fall in love with it, then I will upgrade in a few years to a higher end machine that is over $1,000. 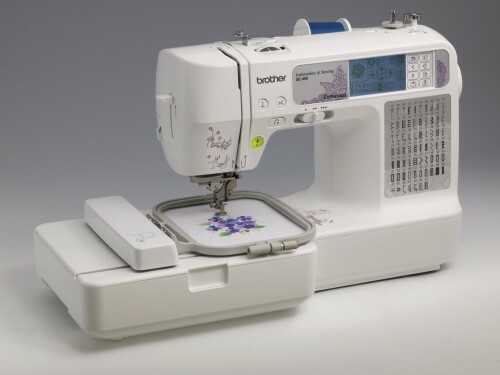 I realized the other day that I spent $1,000 on my digital camera without even thinking twice about it.. why wouldn’t I give my sewing machine the same consideration?? Also, I read online in many reviews that Brother says the SE400 will not work with Macs, but in reality it will if you just plug it in. Here she is. The Brother SE400 Sewing and Embroidery Machine. Any name suggestions? Maybe an old lady name will be nice. Agnes, Vera, Mabel, Cordelia?? Well whatever, Cordelia will be arriving in the next few days, as she has already been shipped! This entry was posted on September 29, 2010. It was filed under Other. I have the same machine, and am just learning how to use it. Any tips and tricks would be great. Henna sent me your way! Hey Destiny! I still don’t know how to use the embroidery part of the machine… ha! But, definitely make sure you always have that little arrow back an scissor buttons highlighted on the screen.. it will make your life easier! I don’t have any other real tips and tricks for you. Learn how to use the button hole maker.. it’s pretty awesome and I use it for things other than buttons too. (just check the manual for how to work it- its easy). I’m still learning how to use the machine as well. I’ve never taken a sewing class, so I have no idea how to do things the easy way!